Chinese authorities are investigating suspected bribery at the China arm of GlaxoSmithKline. GlaxoSmithKline said Monday that some of its senior executives in China appear to have violated the law, the latest development in a high-profile investigation into the company's operations in the country. The U.K. drugmaker has been accused by China of using a network of more than 700 travel agencies and other firms to channel bribes to hospitals, doctors and government officials since 2007. The admission was made by Abbas Hussain, an executive GSK dispatched to China last week in an effort to contain fallout from the investigation. In a statement issued after a meeting with Chinese officials, Hussain said the company was taking the situation "extremely seriously." "Certain senior executives of GSK China who know our systems well, appear to have acted outside of our processes and controls which breaches Chinese law," Hussain said. "We have zero tolerance for any behavior of this nature." Chinese officials said that Hussain apologized during the meeting, according to a statement posted on the Ministry of Public Security's website. Four senior Chinese executives of GSK (GSK) have been detained in China, and state central television has aired the apparent confession of one of the four. The CCTV report featured GSK executive Liang Hong explaining how the bribery scheme worked, including the use of fake conferences and travel agencies to create receipts for services that were never performed. The surplus funds were then used to pay bribes. The circumstances of the interview are difficult to discern and it wasn't clear whether the confession was coerced. In addition, Steve Nechelput, finance director for GSK China, has been prevented from traveling outside China since the end of June. How much damage the scandal will do to GlaxoSmithKline's reputation or bottom line remains unclear. But the episode underscores the challenges of doing business in China -- an enormous, rapidly developing market in which bribes and corruption are often deeply ingrained. Related story: Could China scandal derail Glaxo? Medical workers are thought to be particularly susceptible to bribery in China because their salaries often lag other fields, even though extensive education is required to enter the profession. The pharmaceutical industry is also a place where the interests of the government clash with private enterprise. The state finances medical care for many Chinese, making the government one of the drug companies' biggest customers. As a consequence, regulators often work to keep costs low through the implementation of price ceilings. Lower pharmaceutical prices also help keep inflation under control, leaving consumers with a little extra purchasing power -- a key factor as China works to encourage more domestic consumption. Hussain, the GSK executive, indicated Monday that the company would likely be charging less for its products in the future. "Savings made as a result of proposed changes to our operational model will be passed on in the form of price reductions, ensuring our medicines are more affordable to Chinese patients," he said. China's investigation could expose the company to legal action in the U.K., and possibly the United States, under laws relating to the bribery of foreign public officials. GlaxoSmithKline said last week it had informed the U.K.'s Serious Fraud Office about the allegations but had not yet been asked to provide any further information. 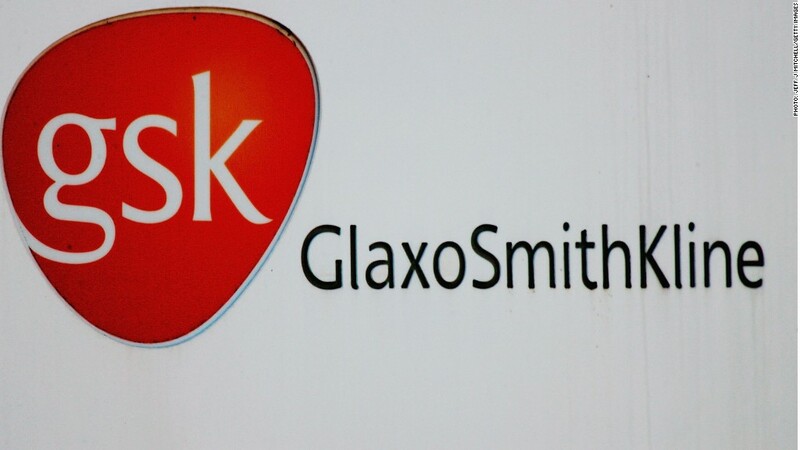 The agency, which investigates and prosecutes corruption cases, said it could neither confirm nor deny an interest in the claims against GSK at this stage. --CNN's Dayu Zhang and CNNMoney's Mark Thompson contributed to this report.